Brian White’s friends are campaigning to ensure he stays in the U.K.
A 21-year-old who moved to the U.K. from Africa with his foster parents could lose his place at Oxford University over legal issues involving his citizen status. Brian White, from Wolverhampton, was accepted to study chemistry at Oxford in 2016 after excelling in his A Levels. 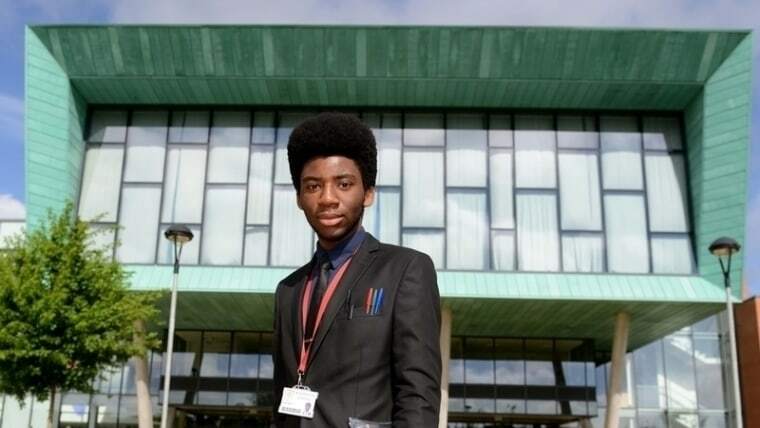 However, he was not granted indefinite leave to remain by the Home Office, meaning he could be deported before he gets the chance to study at the prestigious university. White was born in Zimbabwe and was adopted at age six, having lived in an orphanage after being abandoned by his parents. His foster parents, one of whom is British, then moved him to Botswana before coming to Britain when he was 15. He was accepted into Oxford after getting four A*s at A level. However, White's place was rescinded after reportedly being told that his permission to remain in the U.K. had expired in 2014. The university agreed to keep his offer open for a year but that time is running out and White has not yet resolved his situation. Several of his applications for citizenship have failed, and his most recent one is pending. White has been aided by a petition, currently signed by over 90,000 people, supporting his case. Supporters are also using the hashtag #getbriantooxford on Twitter. Sign Brian White's petition here.